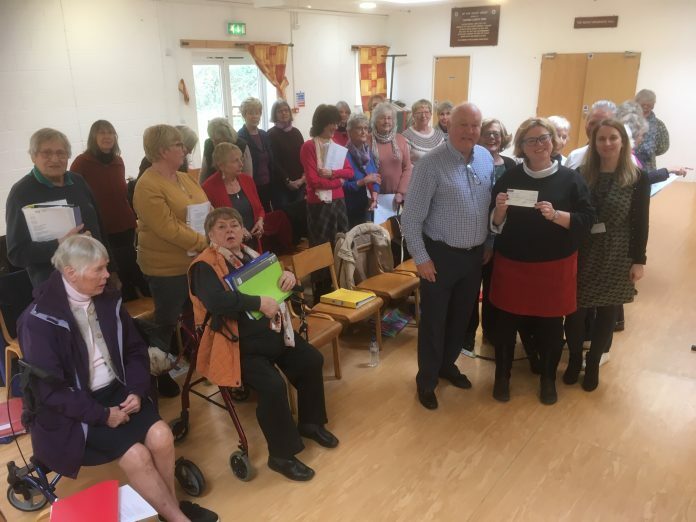 Rye Rotary president-elect, Roger Evans sang along and presented a cheque for £250 to Nikki Stuart and Louise Fletcher of Music Well at their singing group meeting on Tuesday, April 2. Music Well provides music therapy and musical activities to help the health and wellbeing of the local community and the donation was to help continue their work with breathing issues in children. Current Rotary Club president, Derek Bayntun retires from the position in July, when Roger Evans will take over.